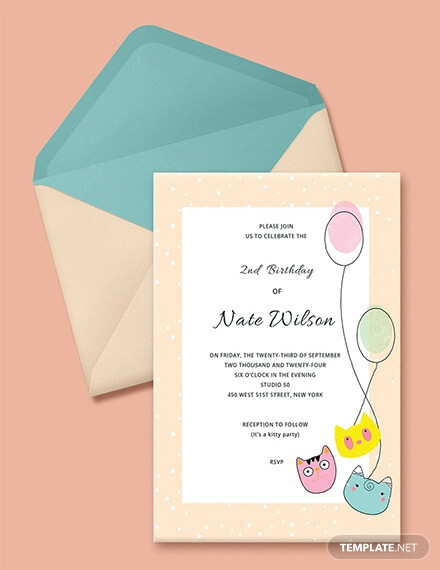 If you are planning a baby shower or a children’s birthday party, then please don’t throw in the invitations at the very last minute. Today may be the digital age but you can still stand out by bringing back the importance of an invitation card. Forget using email, social media and texting. 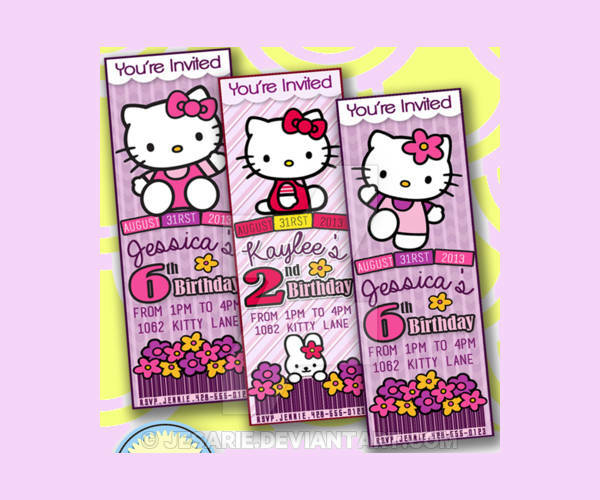 If you and your friends are waxing nostalgic for Sanrio characters like Hello Kitty, then use our downloadable Hello Kitty Invitations. Have the Japanese character be that beacon for your squad goals. 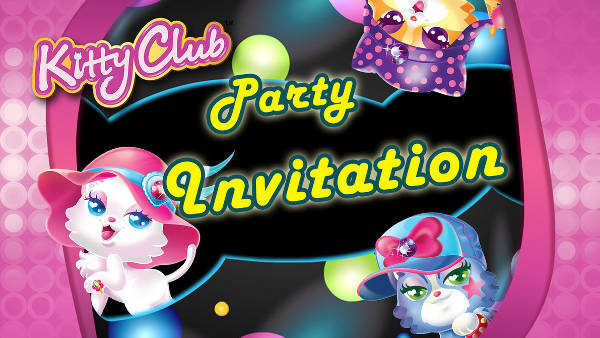 Use our Hello Kitty Party Invitation not just to reel in the squad for one night of loud partying but have this unique and stylish item make you the “Queen Bee.” Tutorial on how to have a beehive hairstyle not included in the download. There is just a great sense of satisfaction that you get when you have finished a DIY project. 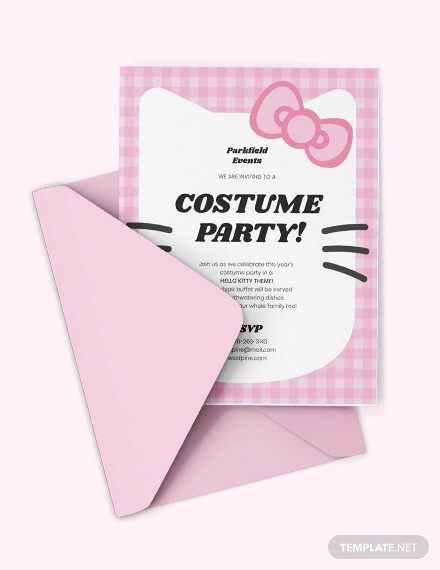 If you haven’t tried pulling such a trick then maybe you can kick it off with this DIY Hello Kitty invitation. Bear in mind, that you can easily edit the image after you have downloaded it. In every fun event like parties, no such gathering will ever be complete without the presence of balloons. These gas-filled bags are always a sight to behold, just ask every kid who has had his or her eye on such a party supply. 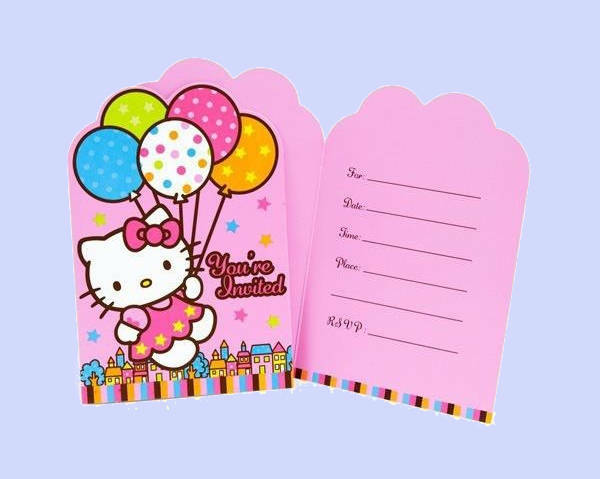 Let your kiddie party have more pizzazz by downloading this trifold Hello Kitty Balloon Dream Invitation. In front of the perfectly folded equal pieces of a square is Hello Kitty herself. Her cute little paw holding down 5 strings of toy balloons. 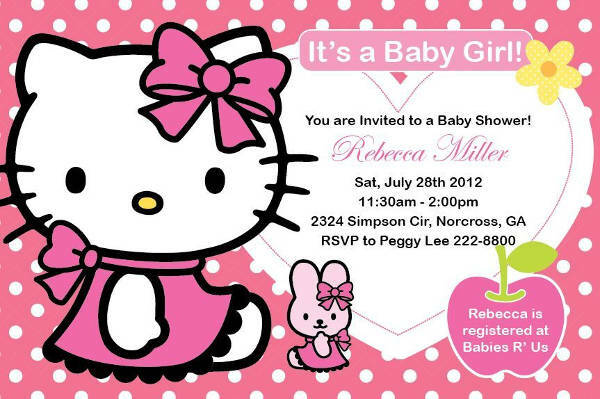 You can also take a look at our Hello Kitty Invitations listing. Invitations need to have the important information needed by your guests. However, no one can avoid those instances when a slight misinformation on the invitation card could be the undoing for both parties. 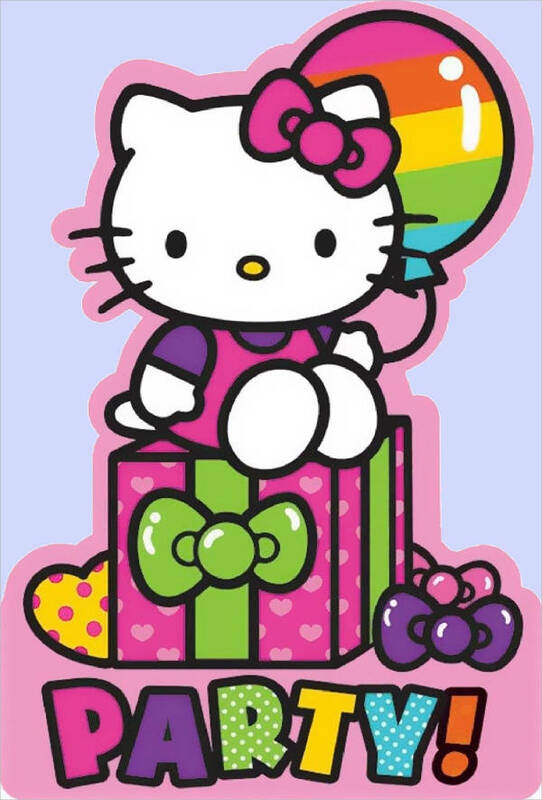 With these Hello Kitty Birthday Invitation downloads, you can edit the details in order to evade such a misfortune. Sometimes, the do’s and don’ts of inviting and being invited are easily forgotten. A good example would be when your party guest invites their own party guest. 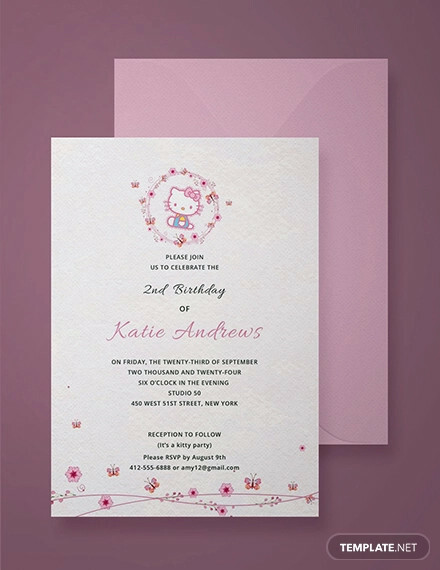 For a more polite way of telling guests that they cannot bring a plus-one, we suggest you download and use these invite-only Hello Kitty Ticket Invitation. These downloads can be edited for an RSVP approach which will include how many seats are made available for your intended guest. 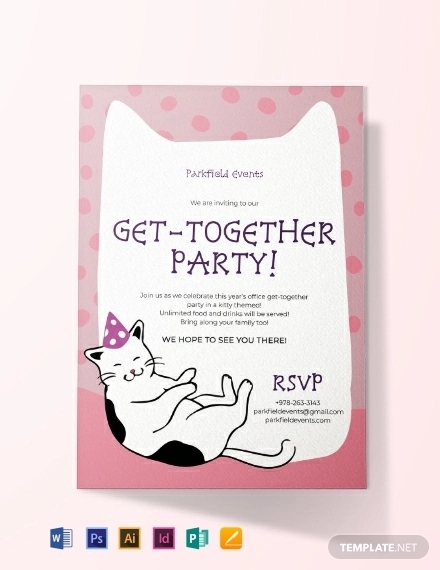 Since you now know where to find the best Hello Kitty-themed invitation for your next party, what are you waiting for? Be fun and creative with your download. 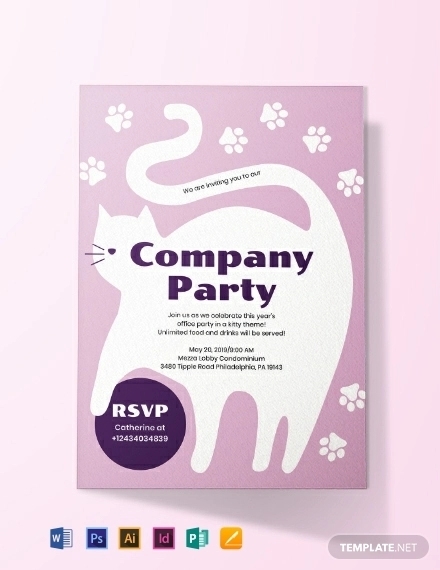 Incorporate a variety of invites to your planned party. Don’t just limit to a single design. 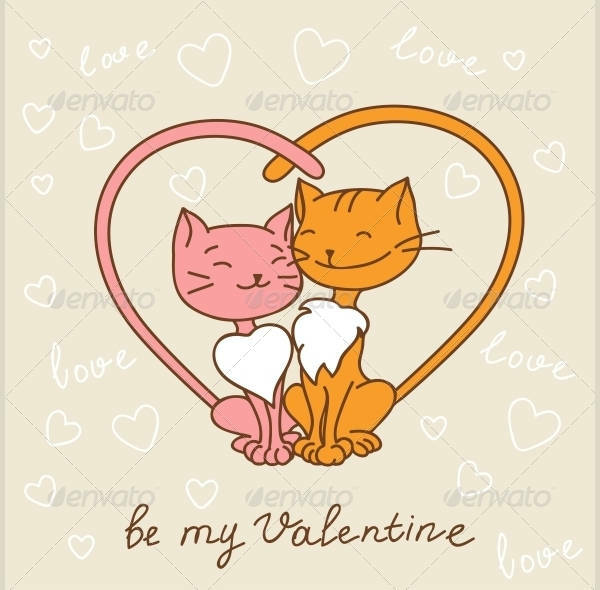 The images are all available in JPG and PNG format and all of these templates can be edited for your preference. You can also see our Mickey Mouse Birthday Invitations listing.